Once upon a time, there were these two brothers. They were twins, but Esau was considered the older since he exited the womb first. The younger was Jacob, following close behind – literally at his heels! The ancients gave the eldest son what was called a “birthright.” He would receive the biggest and best portion of the blessings. And he would have responsibility to oversee the other family members at the father’s death – a position of honor. Rebekah, Jacob’s mom concocted a scheme and tricked his father, Isaac into giving Jacob, her favorite son, the birthright blessings that were to have been Esau’s since he was technically the firstborn. Esau wasn’t all that interested in his birthright status anyway. He would rather have a big pot of hot, bubbly belly busting camel stew. Yum? 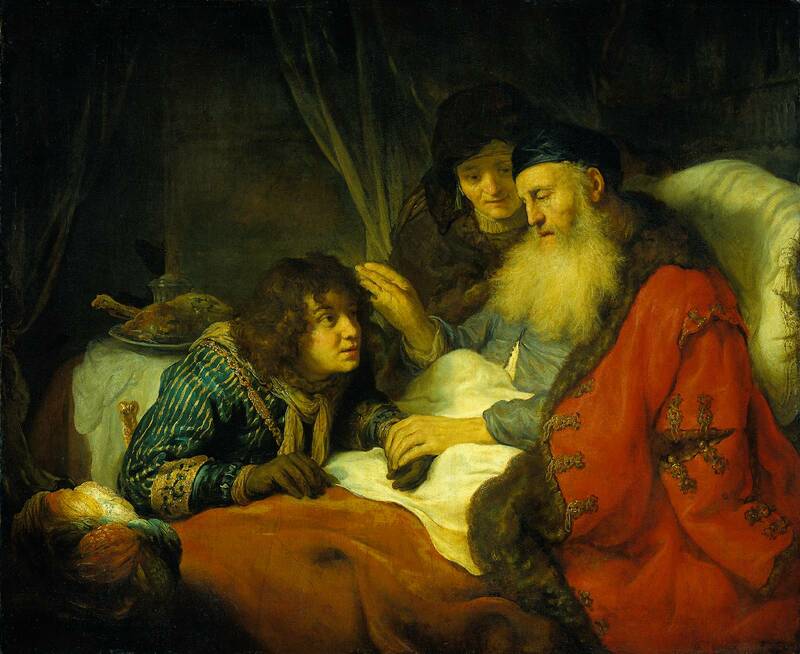 So Jacob received the biggest and best blessing that his father Isaac had to give. In Genesis 27:28, the blessings included the heaven’s dew, and “fatness of the earth” according to most Biblical translations. One version calls it “olive oil.” That is to be expected since olive oil was the only oil known in Moses’ day. He didn’t know about oil from flinty rock, or shale. Petroleum? Never heard of that either. The oil referred to in Jacob’s blessing however, when you consider Job 28:9, Job 29:6, and Deuteronomy 32:13, was most likely the kind from flinty rock. According to the scriptures, Esau was the father of the Arabs, and Jacob was the father of the Jews. Even though the largest portion of oil belonged to Jacob, and Esau got the smaller portion, Esau got his first. His descendants in the Arab countries (Saudi Arabia, Syria, Iran, Iraq, etc.) got the mother lode of the day. They are the dealers, and the modern world is the addict. Fast forward to October, 2015. Oilmen in Israel made an earth shattering discovery….vast amounts of oil in the Golan Heights. OMGOSH! Now take a look at Ezekiel 38 and 39. Russia invades Israel in the great end time war of Gog & Magog. Ezekiel 38:12 says that the Russians will come “to capture spoil and to seize plunder.” It has been surmised that the bait which would draw Russia would be the the valuable minerals in the Dead Sea. I see the dot as connecting Israel’s oil and Russian greed. There’s much more to be said about this. Stay tuned. Genesis 27:28….May God give you of the dew of heaven and of the fatness (or oil) of the earth. Deuteronomy 33:13….and from the deep lying beneath. Excellent ! Like very much, the twins video, your savvy for investing time and money in the Israeli oil fields, and your passion for the Bible…Sister in Christ, Claudia . Thanks for the encouragement – it means a lot! Great Job Auntie! This was my favorite one so far. You want some of that oil, don’t you?! Loved this one. Thank you!